This article is about to describe, how to convert your PC/Laptop into a Wi-Fi hotspot. These days, most of electronic gadgets are Wi-Fi enabled. What to do if there is no any Wi-Fi hotspot near you. Why not to turn your PC/Laptop into a Hotspot. Oh! 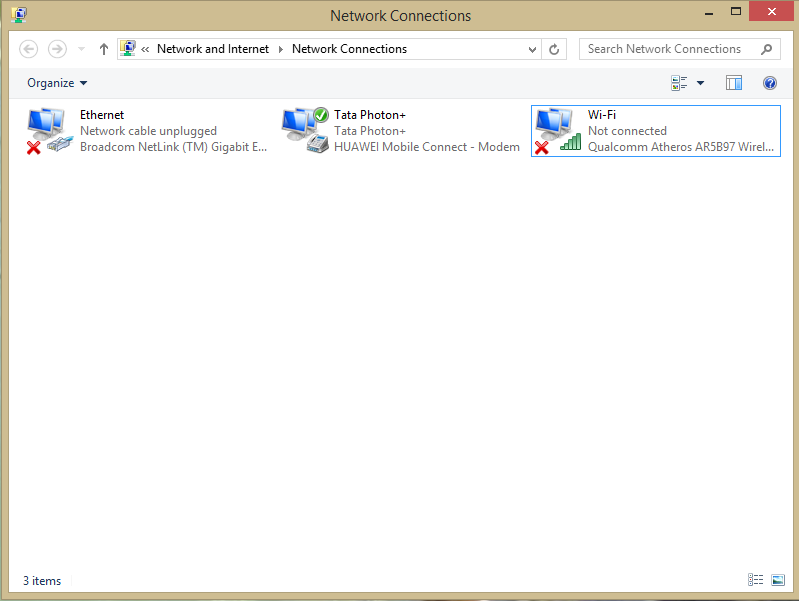 yes, Hotspot is another name of Coverage Area of Internet Network in case of Wireless Network. In this mode, WLAN is created between devices and typically use Wi-Fi for Internet Access or connecting to any other External Web Service. 1. 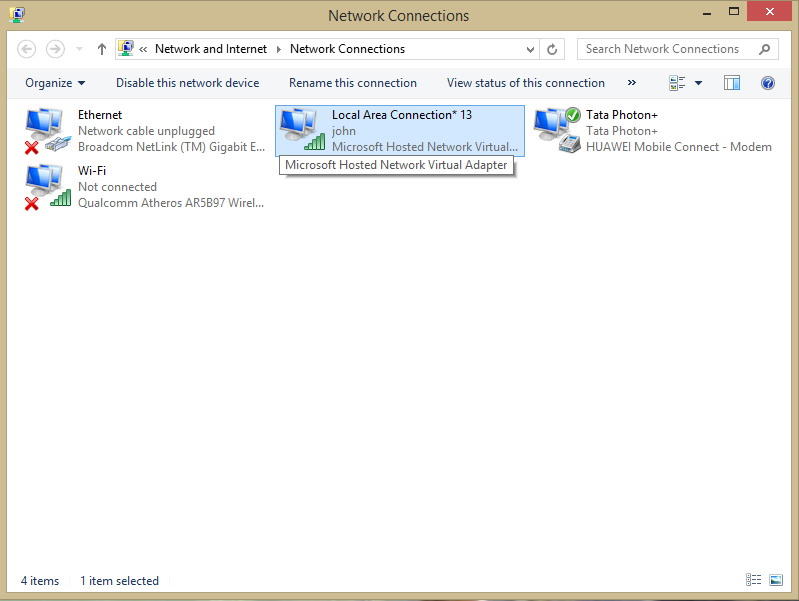 Active Internet Connection (Lan or Any Data Card) on your Windows Device. 2. Wi-Fi hardware installed and drivers installed properly. 3. User Account with Admin Permission. 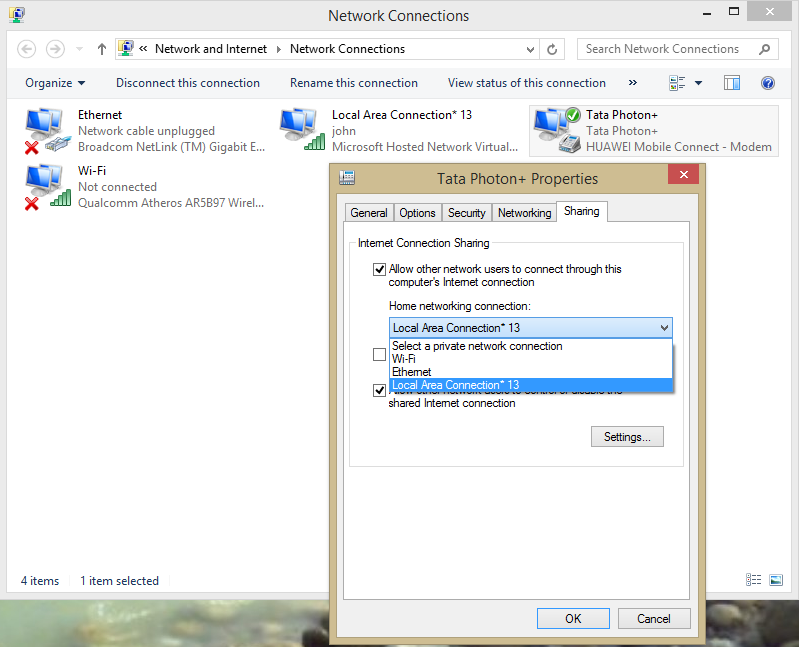 See your Network Connections by typing ncpa.cpl in Run or Command Prompt. Open Command Prompt with Administrator Rights. Type Following Command in Command Prompt. netsh : We are using NETSH utility here. wlan : Changes will be made to 'netsh wlan' context here. hostednetwork : We are telling to change the properties of Hostednetwork. key : The user security key used by Hostednetwork. Windows uses WEP2 authentication. 8 Characters minimum with Number. Now wait for below message in Command Prompt. Step 2. To Start the Newly Created HostedNetwork. Type below command on Command Prompt which is already open with Administrator Privilege. How Network Connections will look after starting. Step 3. Share your Existing Internet with newly created Adaptor. Right Click on Internet Connection which is Active. Click on Share Tab and Check the Box on ICS (Internet Connection Sharing) panel telling you to allow other users to connect using your internet connection. Choose your Newly created Adaptor, this must be created with Name Local Internet Connection *. Select from Dropdown and Click OK.
You have done, Now you have successfully started your Hotspot and can connect your Devices to that hotspot.